BoxPower’s founder, Angelo Campus, completed an interview for Yale Climate Connections on the ease and efficiency of BoxPower’s systems. This interview was also featured on NPR. Climate Connections article by Daisy Simmons, below. “Eight months after Hurricane Maria, power had still not been fully restored to the town of Mariana, Puerto Rico. 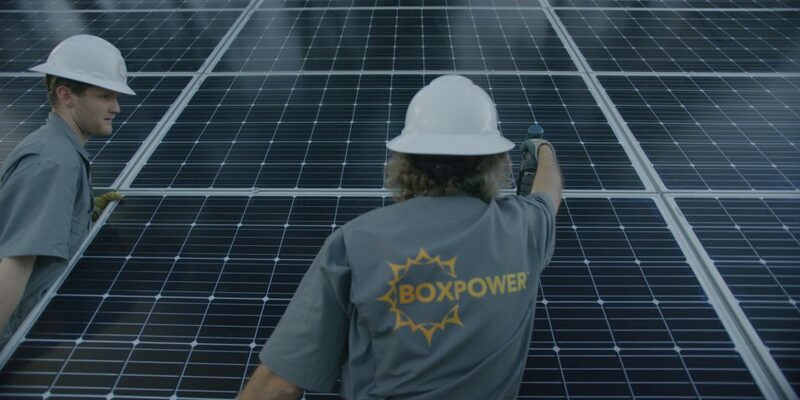 So a company called BoxPower shipped solar panels, batteries, and a backup generator to power a café, laundromat, and community center there. But unlike most renewable energy systems, this one snapped together almost like Legos – with no engineers or electricians needed. Angelo Campus founded BoxPower. The company’s portable power systems, and tools needed to assemble them, come in shipping containers. BoxPower plans to sell these systems for use at music festivals and other events. The company will donate them to communities recovering after disasters. Campus says the need for emergency power is growing with climate change.